Standing desks are one of the latest trends to hit the workplace, offering a comfortable and healthy alternative to traditional setups. For proper support, however, you need to invest in a standing desk chair so that you can reach your workspace. 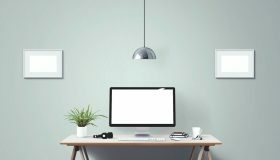 We’re going to go over what you should look for in a standing office setup and discuss the best standing desk chairs available for the modern worker. There are plenty of reasons that standing desk chairs are quickly gaining popularity in the workplace. Standing at your desk instead of sitting can help to reduce your risk of developing certain health conditions while improving your posture. According to recent studies, standing doesn’t just affect your physical wellbeing. 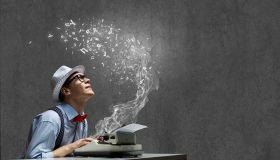 It can also help to improve your motivation and make you more productive during the workday. 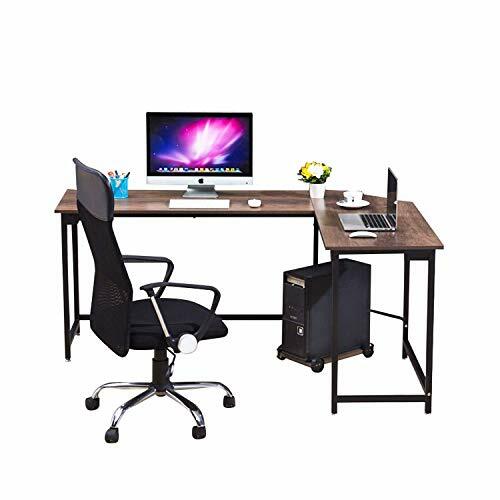 Standing desk chairs differ from traditional office chairs in that they have a much taller height adjustment range. 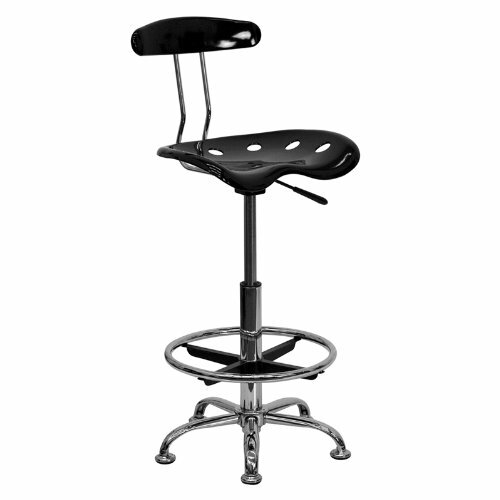 Most are also able to tilt forward, allowing you to lean or perch instead of sitting back. Leaning or perching are both somewhere between sitting and standing. Instead of sitting with your knees at a 90-degree angle, you can rest at closer to a 135-degree angle. According to a study done by the department of radiology and diagnostic imaging at the University of Alberta Hospital, Canada, this angle is best at reducing pressure on the spine. It also helps to lessen tension on the back, legs, and feet. 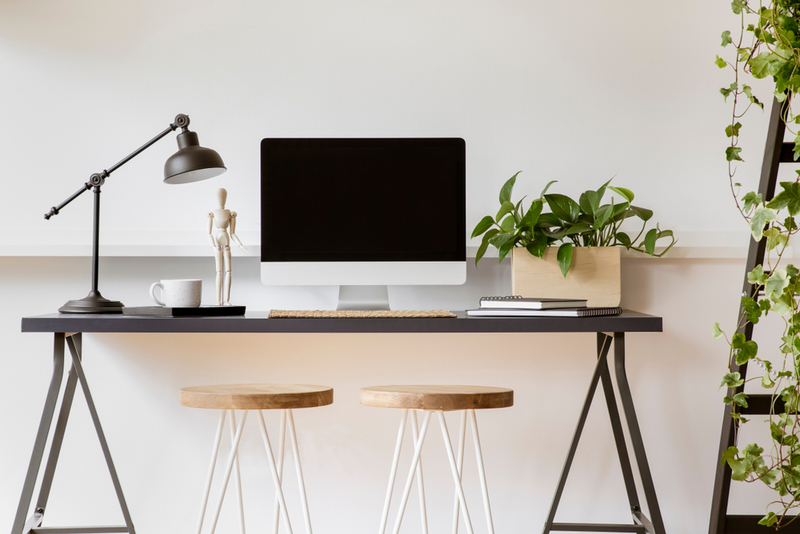 With a standing desk and chair setup, you can work to improve your posture and avoid a dangerously sedentary lifestyle, especially if you work long hours in a seated position. There are a few important considerations you’ll want to keep your eye on. The purpose of ergonomic design is to improve efficiency and enhance comfort. Ergonomically designed furniture helps to place your body in a comfortable position, keeping your arms, legs, and back at a healthy angle. An ergonomically designed standing desk chair offers the support that you need to keep pressure off sensitive areas. It likely includes a specially shaped seat, lumbar support, and a footrest for your knees and ankles. When looking for a standing desk chair, you want to be able to adjust it to meet your specific needs. Otherwise, it may not align comfortably with your standing desk. If you’re not sure exactly what height you want to sit at, it may be best to opt for a chair with a wide variety of height settings. This also allows different members of your household to customize the standing desk chair to their body. 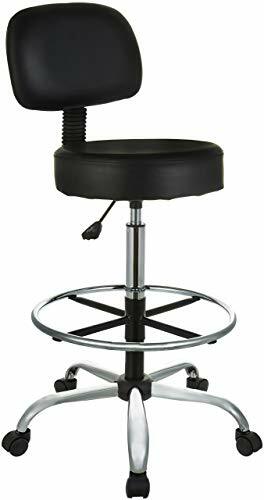 In addition to adjustable height settings, you may want to look for chairs that allow you to tinker with the armrests and footrests for maximum comfort. 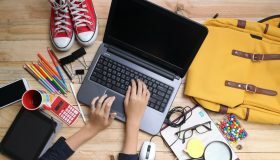 No matter how well-designed a standing desk chair might be, if the seat is hard and rigid, it’s going to be uncomfortable after a prolonged period of sitting. The most comfortable standing desk chairs are those with plenty of padding in the seat and back support. It’s best to look for surfaces made out of a soft yet supportive material such as foam. If you plan on sitting for long periods, you may want to look for cushions lined with a breathable or moisture-wicking fabric. This prevents uncomfortable sweat build up and keeps you feeling cool. 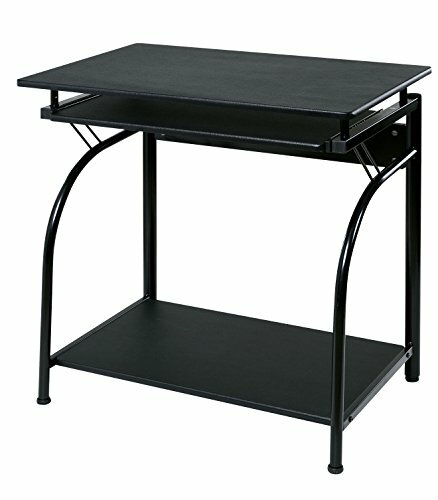 A good standing desk chair isn’t cheap, and it can be a pain to have to replace yours every couple of years. By choosing a robust model from the start, you can avoid future headaches. One of the most important considerations is the material from which a chair is made. The legs should be constructed from a thick metal or high-quality plastic, while the seat should be strong enough to withstand your full weight for long periods. The cover material of a chair should also be durable. Leather and nylon mesh hold up much better than other fabrics, including foam, cotton, and certain synthetic fibers. When using a standing desk chair, it’s important to consider how stable the design is. Otherwise, you risk falling and injuring yourself. It’s best to look for a chair with a solid base and a chair that supports your frame. If it has wheels, they should be able to lock in place. We’ve gone through some of the top options on the market to bring you our top five favorite standing desk chairs. 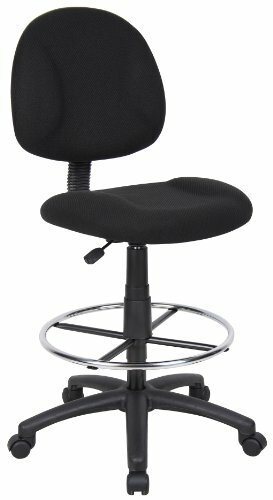 This versatile chair is highly adjustable, allowing you to sit or perch in just about any orientation. The seat has a tilt-lock mechanism for reclining, while the armrests flip up for more room to work. The chrome foot ring can also be moved to suit your height, helping to keep your knees elevated and your hips at a healthy angle. A transparent mesh back has a width between 17 and 20 inches, making it a comfortable size for most users. It’s breathable, keeping you cool as you work. The seat of the chair is also wide enough to accommodate people of all shapes and sizes. Its waterfall front design helps to remove pressure from your legs, improving circulation and decreasing the risk of circulatory problems and varicose veins. This simple drafting stool can also function as a standing desk chair thanks to its adjustable height. 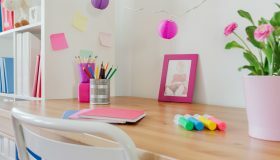 You can raise or lower the base by six inches to match the height of your workspace. The seat of the chair is also able to swivel 360 degrees thanks to a heavy-duty arched chrome base. Dual wheel casters add both stability and maneuverability. The back support is cushioned for comfort, while an adjustable foot ring gives you a place to rest your feet while working. The chair is covered in bonded leather, not only giving it a professional appearance but offering a smooth and soft surface that won’t tear under pressure. This contemporary stool for a standing desk is both attractive and comfortable. The seat is ergonomically designed to fit the curvature of your body for maximum comfort. The back and seat of the chair are both made from a high-density polymer that is able to withstand regular wear and tear. 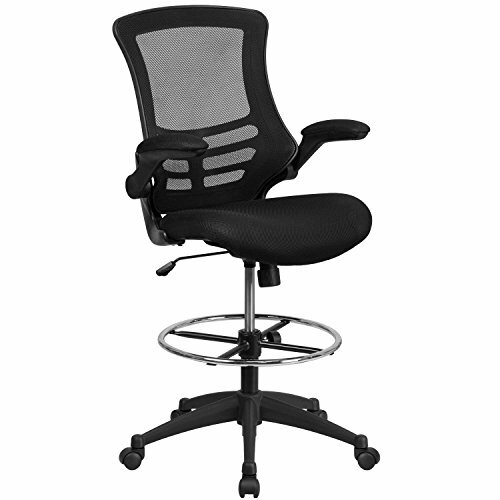 With a pneumatic adjustment lever, you can easily raise or lower the height of this chair to match that of your desk. It’s adjustable up to 8.5 inches. The base of the chair is made of heavy-duty chrome to match its modern style. This design gives you a place to rest your feet and take pressure off your lower legs, though the ring isn’t adjustable. This attractive drafting chair is fully adjustable between 44 and 51.5 inches in height. You can also move the armrests up and down as needed for extra arm support. A seat-tilt mechanism with tension control lets you adjust the seat to the ideal angle for your body. The seat locks in place to ensure your safety. The chair’s seat is padded for comfort and features a waterfall style to keep pressure off of your thighs. It’s covered in durable vinyl, which is resistant to rips, cracking, and staining. The back of this standing desk chair is made of mesh, allowing ventilation to reach your back. This feature can keep you cool, even after several hours of intense work. This chair is built for comfort, with a specially contoured seat and back that are designed to combat back pain. 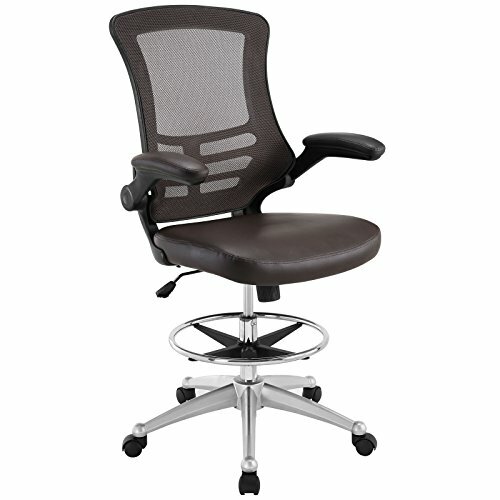 Built-in lumbar support and a waterfall seat design help to remove pressure from both your legs and your back. A pneumatic gas lift system allows you to seamlessly raise or lower your chair to match the height of your standing desk. You can customize the chair to sit anywhere between 44.5 and 49.5 inches. An extra-large 27-inch nylon base keeps the chair stable and upright, while hooded double wheel casters offer maneuverability without compromising safety. A chrome foot ring set at twenty inches offers most users the ideal place to rest their feet, but the support isn’t adjustable for those who need more or less legroom. Out of all of our top picks, our choice for the best standing desk chair is the Flash Furniture Mid-Back Mesh Drafting Chair. We appreciate the versatility that all of the adjustable features offer and the sleek ergonomic design, which protects your pressure points from stress. 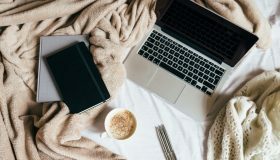 A standing desk chair is much healthier and much more comfortable than a traditional office setup, especially if you work long hours. Buying the right chair for you can help to alleviate pain after a long day and make you a happier, more productive worker.